​Liverpool boss Jurgen Klopp branded that his side 'a f*cking bunch of mentality monsters' after the Reds came from a goal behind to secure a crucial 3-1 victory away to Southampton on Friday. 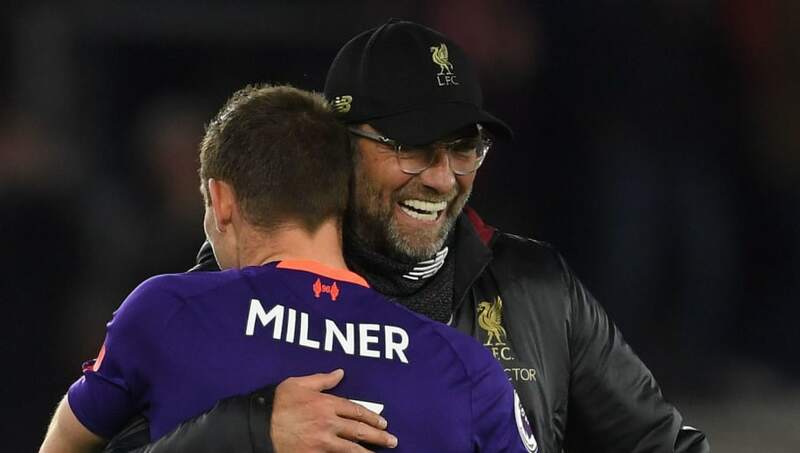 The win lifted Liverpool back above Manchester City at the top of the Premier League table, but Klopp's side were made to work to keep their title challenge on track, after an early Shane Long strike had given Southampton a shock lead at St. Mary's. The Reds hit back with strikes from Naby Keita, Mohamed Salah and Jordan Henderson to secure the three points and, in a post-match TV interview, Klopp got a little emotional. He said: "It was brilliant, I've got to say. "I thought the boys were - and you maybe have to beep - but they're a f***ing bunch of mentality monsters, it's unbelievable!" The comeback victory came less than a week after Liverpool secured a last-gasp win over Tottenham at Anfield, when the Reds required a late own goal to scrape to victory in a game which appeared to be drifting towards a draw. Klopp's side have ​won the most points from losing positions this season - with 16 points salvaged after being behind. "I told the boys we have a good mentality among us," Klopp added. "We were well organised, we pressed high and were everywhere on the pitch. They deserved their early goal but we adjusted to the situation, stayed calm and waited for our moment. "The performance was not at the top level but at this stage it is about fighting. People want us to play like ​Manchester City but we are unable to do that, so we play our own football."